From Top to Bottom, We'll Make Your House Better. A full service roofing and remodeling company. Real feedback from happy homeowners! "Thanks for the great job you did replacing our roof. You and your crew were professional, thorough and courteous, and we really appreciated that." "I want to say how impressed I am with my completed roof project that your company installed. As you described during our initial discussion the installation was clean, neat and done on time. If at any time we can be a reference for your company please feel free to have anyone contact us. Best regards." "Thanks for such a good job. I can’t believe your guys could do it in a day and a half." "So glad we used you for our roof! You have a great crew!" "Thank you so much for your time, help and clean up. I am so satisfied and it's great not to worry any longer about water leaking. Thanks again." "We are so pleased with the work your company did on our roof. It looks great and everyone was wonderful to work with. If you need to use us as a reference, let us know! Thanks." "You promised to get in the insulation before the snow flew – and you did – a week before that mini-blizzard. I’m looking forward to a comfy, cozy, toasty home this winter!! Thank you for the two emergency jobs you did on the estate, which made the property marketable. It’s a pleasure doing business with you." "Again I would like to thanks the guys who worked on my roof. They were very respectful to me and friendly. Did a great job of cleaning up the yard and site. Very good group of guys. They took great pride in their work. I appreciate that very much. It’s hard to find that anymore. So thanks and Happy Holidays to all of you." "When we started looking for someone to replace our shingles, frankly we didn’t have a clue who to call. It was a friend of ours that you did work for that recommended Keith Miller Roofing. Please know that we are very happy with the job you did. You were a pleasure to work with and we appreciated your honesty and being candid discussing our options. Your crew was courteous and paid attention to details. If anyone ever asks me about a roofing need, I will be quick to recommend your company. Thanks to all of your team for a job well done! Please pass along our gratitude. Best regards." "Thank you all for doing such a wonderful job! We are very pleased. The crew did a fantastic job – worked hard, were very kind and courteous, and acted very professionally. You are a top notch group! Thanks again!" "Thanks to your crew for a great job. The roof looks wonderful. They did a thorough clean-up. Thanks again." "Thanks again for answering all my questions and sending info to State Farm. The roof looks great. I am still amazed at how hard they work." 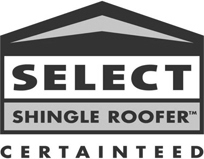 "Thank you for a prompt and professional job done on our roof. We were also very pleased with the work crew and their excellent attitude. We will definitely share with others the excellent product you gave us. Thank you again." "Thank you and your husband for my beautiful new roof. I could not be more pleased. Thanks, too for adding the splash guard." "You did a great job on the roof. I shared my feedback on Facebook to all my friends. Hopefully, it will generate some more business for you! Thanks." "Thank you for a job “well done.” It looks very nice. You have very good workers." "I want to thank you and your roofing crew for the great job they did on my roof. It looks beautiful and was done in a timely manner. The workers were very professional and did a great job. Please thank them for me for all the hard work that went into it. I would recommend your company to anyone. Thanks again." © 2018 Keith R. Miller, Inc.